As 2015 comes to a close, I can tell you one thing for sure, my readers LOVE frugal living tips, especially if they have an old-fashioned spin on them. 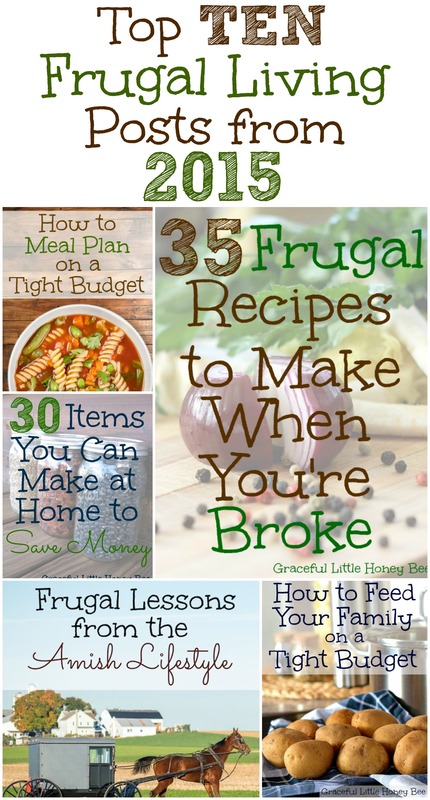 My top post for the year was by far was 35 Frugal Recipes to Make When You’re Broke. This tells me that you love frugal recipes and want me to post more in the coming year. Am I right?? I love sharing these tips with you and will continue to do so in the future. Which one was your favorite? Also, if you haven’t already I would like to invite you to sign up for my weekly newsletter and receive a free copy of The Frugal Mom’s Guide to Feeding Your Family. Enter your e-mail address in the form below to get started! I hope your new year is filled with peace and joy. Happy 2016!